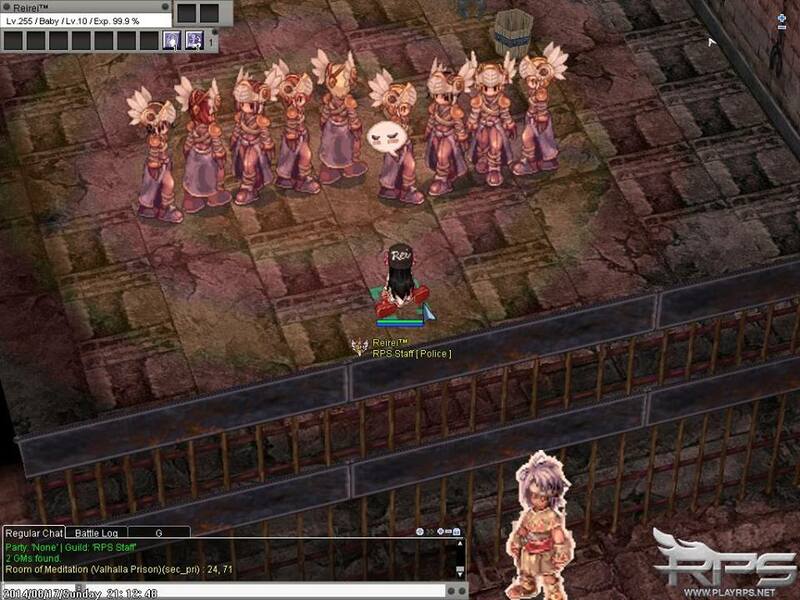 I have been an avid gamer of the classic MMORPG, Ragnarok Online since 2005. I played on the official server and some private servers back then but studies and other interest made me stop playing for a while til I completely forgot about it. 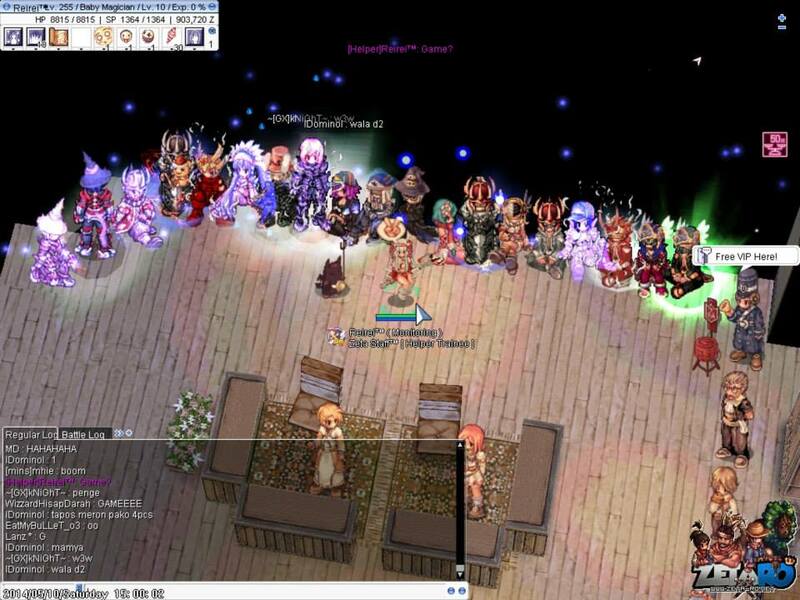 I was invited to play again in a private server called ZetaRO in January 2011. Big server with lots of active players. It didn’t take long to get used in here. 2 weeks later after I register, some staff found out that I can contribute some art for the server and I got in the staff team just like that haha. I started as a helper trainee – mostly answering questions about the server and the game in general which is quite a challenge coz it’s been only 2 weeks since I returned to the game haha. Thanks to google and other sources, I have not failed to answer any question regarding item information and other game related questions. Here are some questions that I’ve answered. I was required to post screenshots in my logs so I still have these in my storage. Here’s another question. 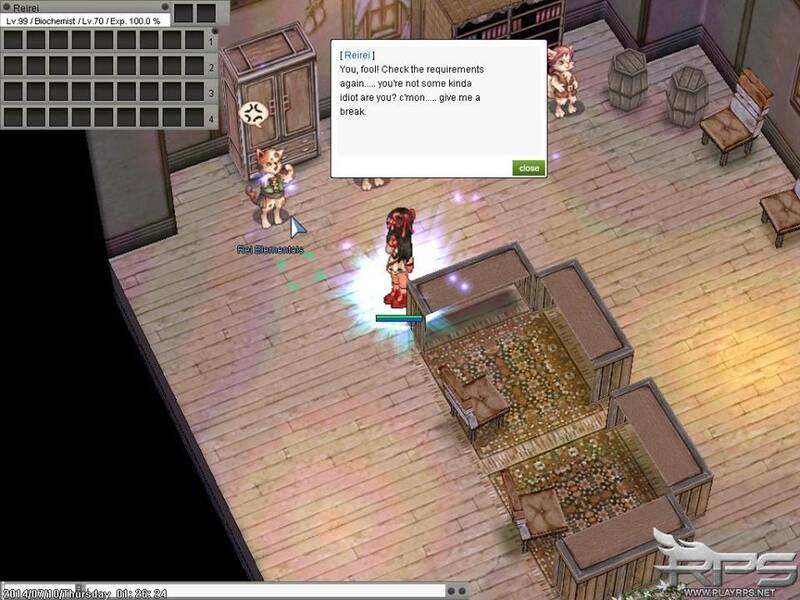 Newbies in the server like me would really wonder if a boss monster can be summoned through an item. Some server probably do but not here.. glad I tried it before so I was to able to answer right away. ^ and from time to time I get those Police reports when someone got jailed. And here’s one more question which I was able to answer thanks to the monster info command… which is also the same as the info from ratemyserver.net ^ all the other pubs are waiting to be answered. Sometimes it gets really busy there. 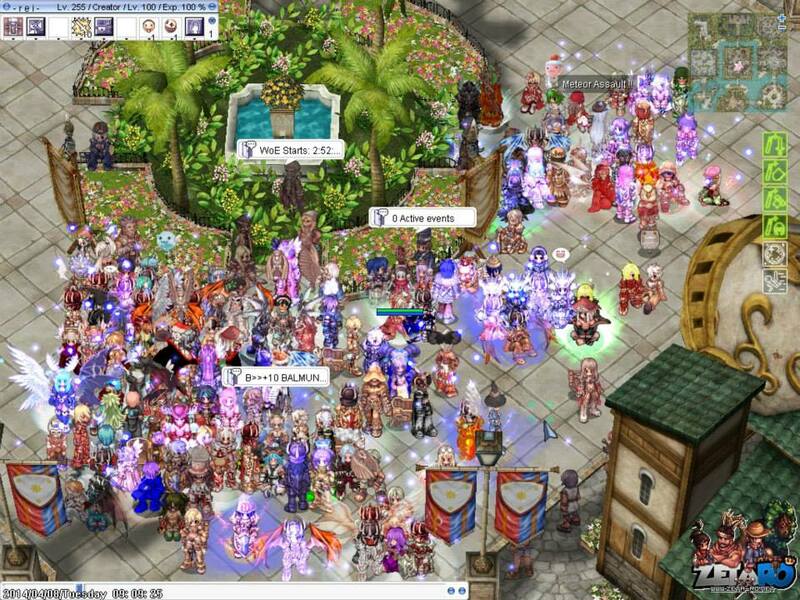 Sometimes I host events too coz I’m the only staff online during my hours – because majority of the players are from Philippines, they’re sleeping while it’s just afternoon here in Canada. But there are early birds and some of them just don’t sleep. Events are fun~ Players love it and I enjoy hosting it too. I miss this old community in ZetaRO. I have been a player and trainee for 5 months (February-May 26, 2014) but the host shutdown with all the files and backup so pretty much ZetaRO and other servers under that hosting service died. 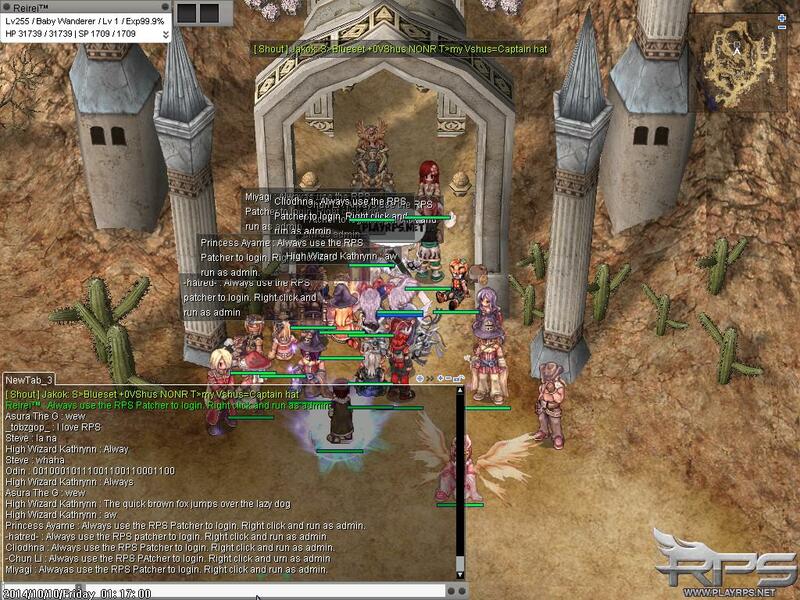 But our very own Ragnarok Private Servers (RPS) didn’t stop there. Jhake Santos, the admin for all 3 servers took this opportunity to rebuild a new server with all 3 servers in one. 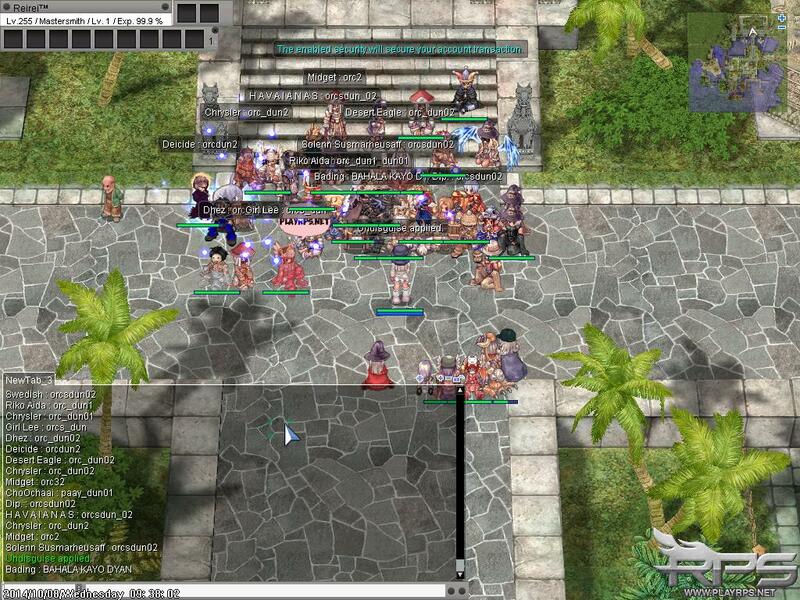 So all players from ZetaRO, Oldschool-RO and DotaRO will be united in one server which is the current one. 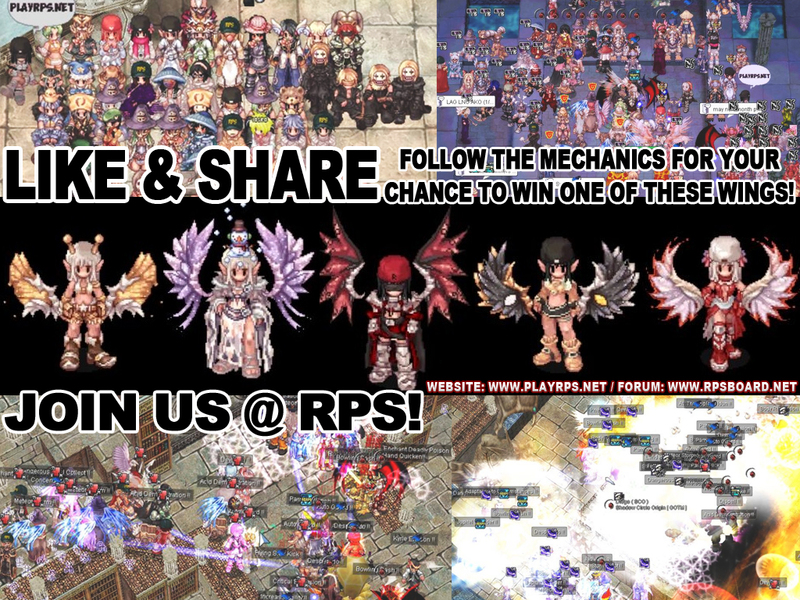 RPS opened on July 9, 2014.. 4:00am in Canada. 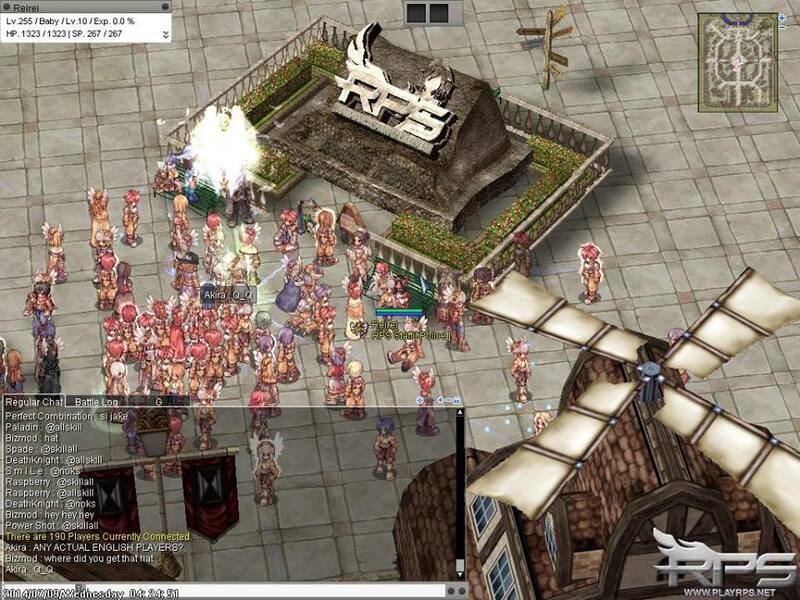 I was still awake and witnessed the server opening was a success with 190 players online within 20 minutes. I also found out that I have my very own NPC in game. I can feel that I’ve become part of the RPS family. I’ve been doing my job here diligently so I guess I deserve the promotion.. I became a Police right from the start of RPS. Basically just hunting bots and rule breakers while still helping just like before. Priority role was changed to hunting bots since the server didn’t have any bot protection before. 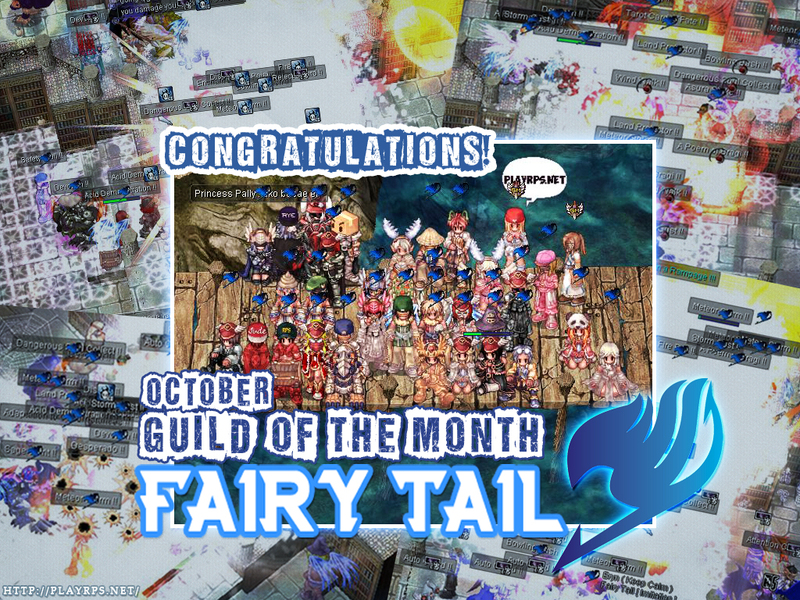 (September 2014) 2 months passed, I got promoted as a sub-gm… with due respect to my higher co-GMs, I’m more active than the others so I really feel like I deserve this promotion again haha. New roles added, more commands, more responsibilities. Still doing some bot hunting and checking but now I’m prioritizing helping and answering questions, account support and events~ we love events! Guess the Map: I was disguised as a monster and they chat the location of the monster. Fast Typing: First to type correctly with all punctuation wins the round. Dice Event: I roll a dice and they guess if it’s high or low. I’m enjoying my job in this server. 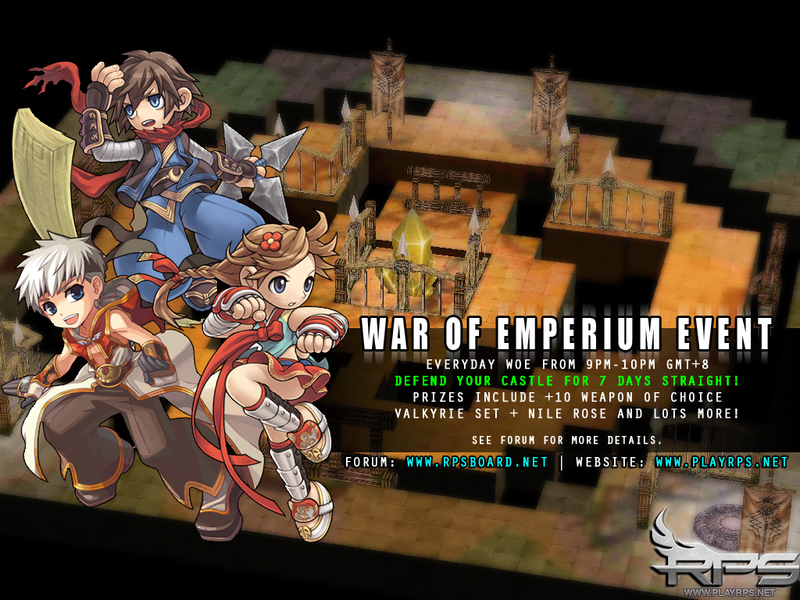 Active community.. 550-600 online everyday and online peak goes up to 700 during the War of Emperium (Guild Wars) and co-staffs and admin are very active, approachable and always available. They’re more like a family than a team hahaha~ Just a random shot on a random day. Dec. 3, 2014.. I was promoted to the official Game Master role.. not a sub anymore! Actively communicate with players tending concerns or questions about the game and server. 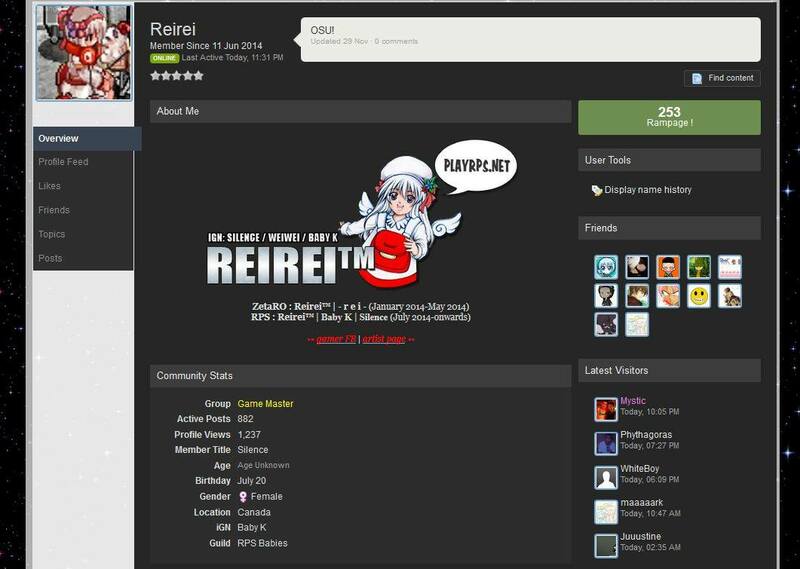 Provide support and assistance in game, monitoring online environment and forum moderation. Creating, organizing and executing GM events, keeping the community under control and punishing rule breakers. Bigger authority, greater responsibility. Now on to some off-game roles, aside from being active in game, staffs are also active in the forum (rpsboard.net) for updates, handling reports and providing support. I host forum events too. And of course, in facebook as well. My graphic arts skills have been useful for announcements in the page. and then I started doing more graphic arts for forum signatures requested HERE. 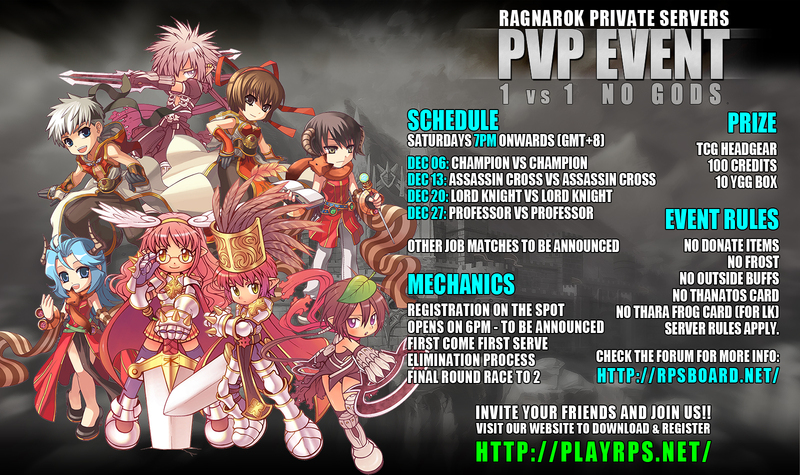 December onwards, I’m still active in game and in forum.. sometimes playing and sometimes hosting events. We love events~~ ^o^!